Married women proudly displaying their gold mangalsutras is a normal phenomenon. 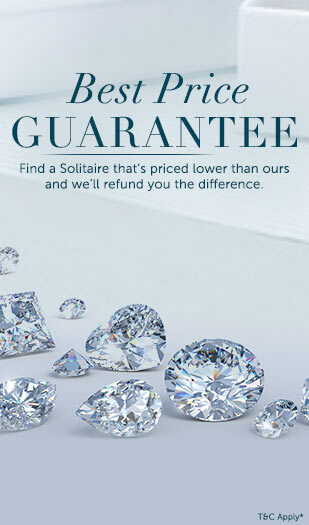 Going a step further, women have the luxury of exhibiting their devotion for marital vows in the form of minimalistic wrist adornments. A pleasant surprise awaits them draped in the form of mangalsutra bracelet designs for women that are now enlisted as part of the woman’s jewellery online collection. 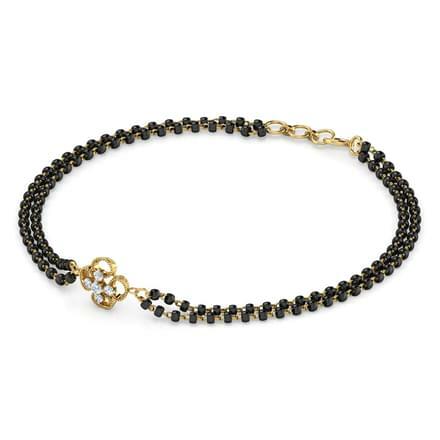 Incorporating the signature black beads which symbolize the marital bliss of women, these ornate black bead bracelet designs are unique ornaments that can be sported by married women. 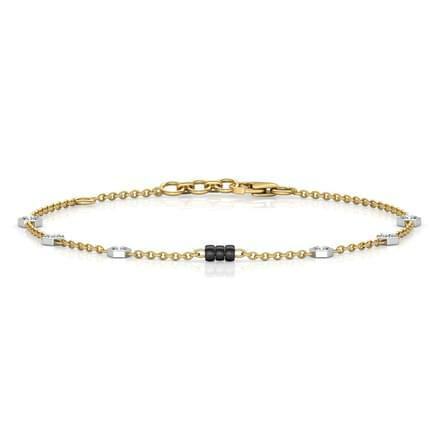 Mirroring a number of love-filled sentiments that a woman has for her man, these mangalsutra black bead bracelets are a hot pick on CaratLane; the one-stop-shop that allows you to buy jewellery online. 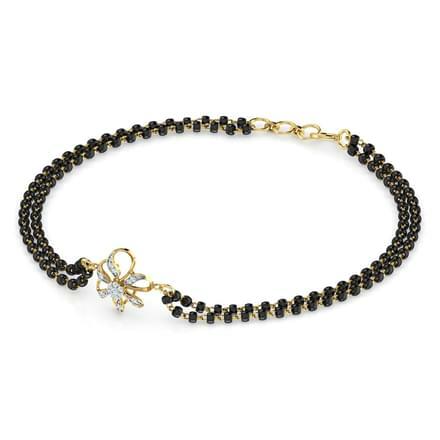 Believed to bless the wedded couple with lifelong prosperity and longevity, black beads are also sported by women to ward off the harmful effects of evil eyes. 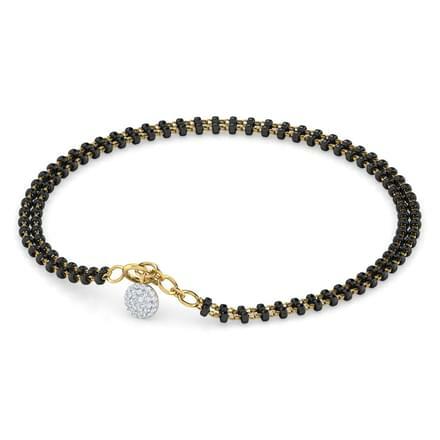 And when these are sported by a married woman in the form of a black bead bracelet for women with charm, the dual effects of beauty blending with their inherent purpose are enjoyed. Featuring an array of 18K yellow gold mangalsutra bracelets, CaratLane brings in an element of uniqueness to these marital ornaments through diamonds and gemstones. 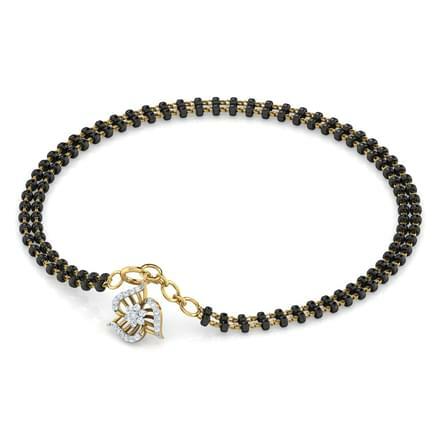 Keen on sporting a diamond pendant mangalsutra bracelet? 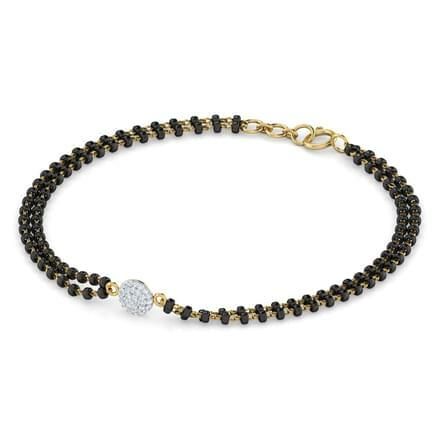 Then the Viragi Mangalsutra Bracelet along with the mesmerizing Adya Mangalsutra Bracelet glittering with the sparkle of 36 diamonds embossed in a bracelet charm can become your top choices. 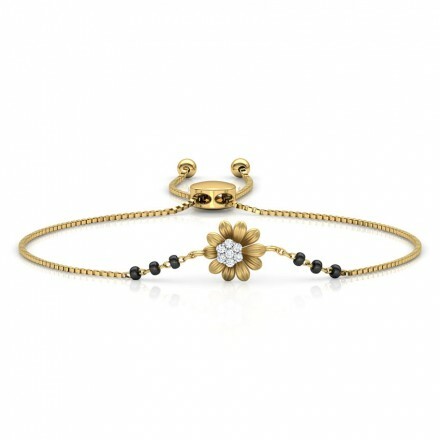 The Saanvi Mangalsutra Bracelet sporting a floral charm embossed with diamonds accompanied by a pearl as its centrepiece is the gemstone variant of the online mangalsutra bracelet collection. 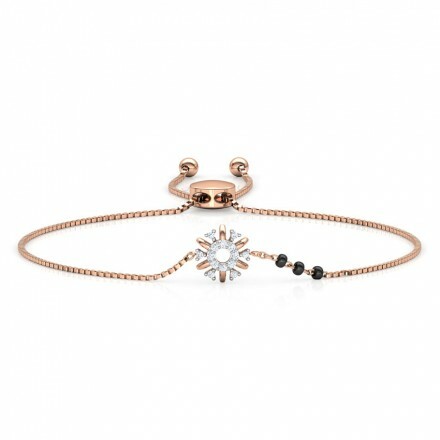 Trending the minimalistic way, an assortment of daily wear mangalsutra bracelet designs for women which can be clubbed under the umbrella of bridal jewellery are all set to please the bride-to-be on her wedding day. Epitomizing a volley of pleasant emotions that a would-be-bride has for her future, these ornate jewels introduce her fashion sense to the world at large. It is for this reason that these ornaments can make their impressive presence felt in the form of fashion jewellery that can stand the test of time. Showcasing the aesthetic mettle of the craftsman ordained to churn out these wondrous creations, these pieces of Indian jewellery are poised to go places. A special mention goes out to the delicate designing that these mangalsutra bracelets for women exhibit to the wearer in particular and the onlookers in general. 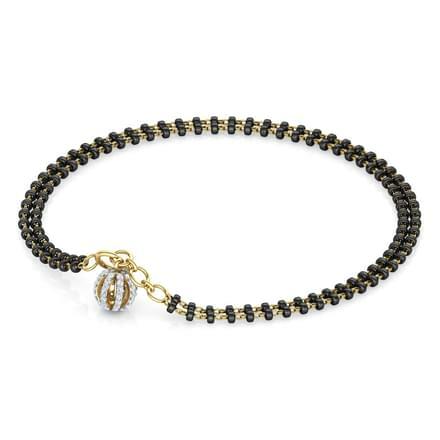 Arraying two strings of small black beads strung together with the 18K yellow gold wire, the unmatched appeal of gold and black makes these ornaments a cherished memory for life. Prompting the couple to recall all the pleasurable instances that made their wedding a picture-perfect celebration, these black bead Bracelets for women come in as reminiscences for life. Exhibiting a perfect amalgamation of metal, stone and bead, these wrist ornaments come in as embodiments signifying the matrimonial union of man and woman.